Stay tuned for exciting fall offerings! Hi everyone! It is good to be back! I want to thank *all of you* for the support and patience that you gave our staff and board as they made sure that the wheels of HandsOn NWNC kept turning while I was away. 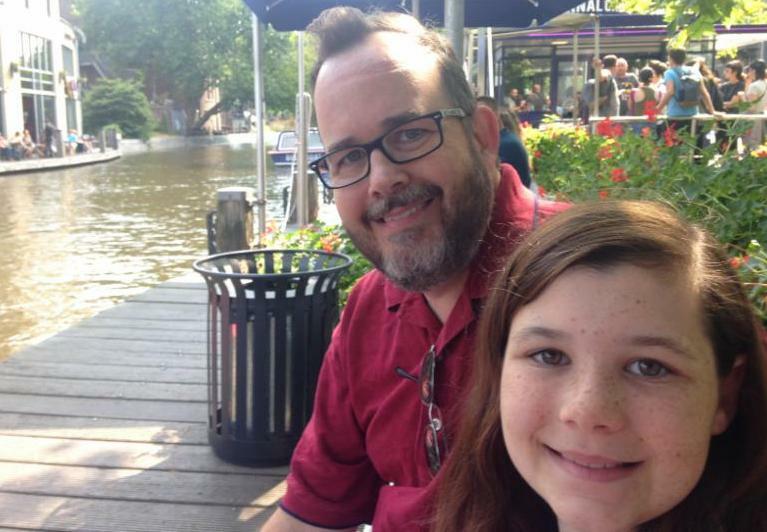 For the first time in forever, I was able to spend a whole summer with my daughter, making some fantastic memories with her, my spouse, and my mother--both in Europe and in Maine. This amazing experience (which I am happy to share more about with any of you at any time) wouldn't have been possible without the generous support of the Z. Smith Reynolds Foundation and the amazing ability of my staff and board to step up while I was gone. I especially hope you've enjoyed the guest columns in this space over the past few months; those summer issues of the newsletter are the first in the history of HandsOn that I didn't edit or write! I came back just in time to co-present our Women's Emerging Leaders program, which many of you know is especially near and dear to my heart. We welcomed a great cohort this year, and I'm excited to see how the group continues to come together to support each other. At the end of the Leadership Essentials for Women portion of the program, we were also pleased to be able to offer a limited number of free head shots to some of our WEL alumni, courtesy of our friends at Jasper and Fern. Since we now have more than ten years' worth of alums (wow!) we look forward to offering some deeper dives and lunch and learns to those who speak the common language of the program. If you are a WEL alum and are interested in helping to plan and convene these gatherings, please let us know! Over the summer, Kathy and Brittney developed two special training events for later this fall: Elevating Your Service Experience, happening on October 23 rd, and Kivi Leroux Miller's visit on November 8 th. The class in October is a deep dive into an area that is easy to neglect with so many competing priorities. We hope that providing an opportunity for participants to focus on some core principles that will help your organization ensure that quality customer service becomes and remains an integral part of your culture. And space is filling fast for Ms. Miller's workshops in November! She is a marketing coach extraordinaire and will be talking about content re-purposing and marketing your expertise. I so look forward to reconnecting with many of you before the end of the year. I hope you all stay safe and weather the storm without harm! There's Still Time to Register For Our Volunteer Management Training Series! Spots Still Available in Our Popular Building Capacity for Measurement Program! Three Spots Available Beginning September 2018! 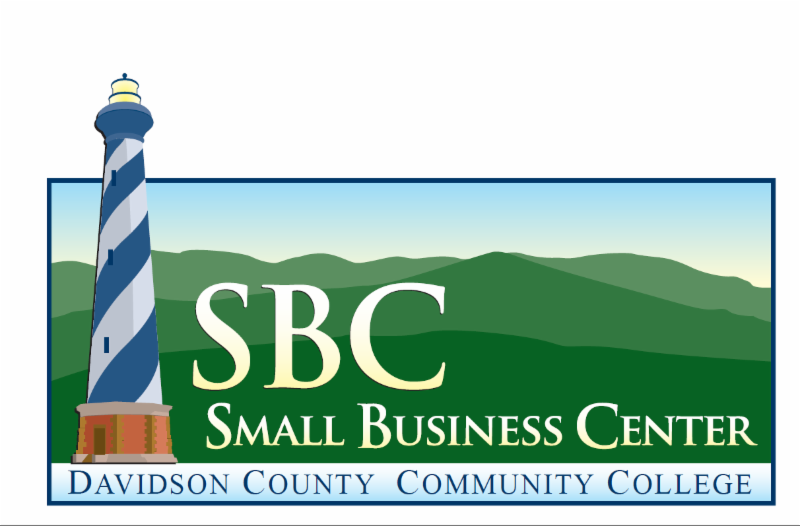 Our partnership with United Way of Davidson County and Davie and Davidson County Community College's Small Business Center is bringing an additional FREE workshop during the month of October to our partners for whom attendance at our Forsyth County location is a barrier. While registration is open to everyone within our network, priority will be given to those organizations serving Davidson County. Please click on the title for online registration and additional details. Thursday, October 4th, 11:30 am- 1:00 pm; NO COST! The Governance class will provide a practical look at nonprofit governance, including organizational life cycles, best practices, legal framework and compliance, general oversight, duties, and building an effective board. 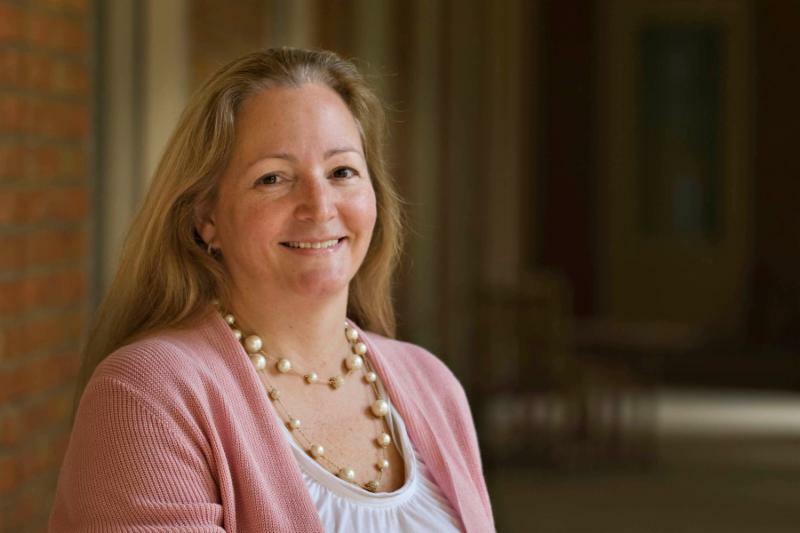 It is taught by Barbara Lentz , Associate Professor of Legal Writing with Wake Forest University School of Law . Supporting Partners can register for the entire, 10 class series for just $450 ! (The cost is $550 for all others.) Payment plans are available. All classes include a networking lunch and extensive take-home materials. Share fundraising ideas, tips, trends and best practices with your nonprofit peers. The group meets three times a year to share practical information and is a great opportunity to meet other nonprofit staff involved in similar work while exploring concerns and discussing effective solutions. We'll be discussing Chapters 9 (Ask a Real Prospect) & 10 (How to Ask) of Kim Klein's book, Fundraising For Social Change . For this meeting, bring an example of your best donor retention letter. If you don't have a copy of the book, an outline will be provided at the meeting. HandsOn also has several copies of Fundraising For Social Change for sale for $45. Please contact us if you'd like to purchase one prior to the meeting. Meetings are from 8-9 am, but feel free to arrive at 7:45 am for networking. Coffee will be provided! COST: Free! Please register here for planning purposes. Are you a Finance Officer for a nonprofit? Share finance ideas, tips, trends and best practices with your nonprofit peers. The group meets three times per year to share practical information and is a great opportunity to meet other nonprofit staff involved in similar work while exploring concerns and discussing effective solutions. Learn how to “strategically think” through critical questions in order to have a successful strategic planning process. Using case studies, examine effective strategies, assess the importance of the organization’s position in the external market, select an analytical and organizational approach to strategy formulation and implementation, and overcome strategic planning myths. This course is taught by Dr. Pat Dickson , Professor of Strategic Management and Entrepreneurship and Associate Dean of the undergraduate program with the Wake Forest University School of Business . Customer service isn’t just for businesses! Every nonprofit has clients, donors, and volunteers. Treating them with a customer service mindset can make a critical difference in attracting new and repeat “customers” who help sustain the organization—whether by using your programs/services, making a financial contribution, or volunteering their time. Through simple techniques, you can heighten your communication and connection with clients, donors, volunteers—even other staff—to elevate your service experience and increase your organization’s longevity. Board Basics is for individuals serving on the boards of current or emerging nonprofit organizations, boards experiencing difficulties in their effectiveness, and individuals considering joining a nonprofit board for the first time. Topics will include a review of 501(c)(3) laws and regulations, roles and responsibilities of board members, the purpose and content of Bylaws, board governance, board/staff relationships, board policies, executive committee structure and responsibilities, attributes of quality boards, key benchmarks for effective boards, and other topics of interest as identified by workshop participants. The course will taught by Karl Yena, a retired RJR Nabisco, Inc. executive and avid community volunteer and board member that many of you already know and love. Karl works annually with over 100 nonprofits in North Carolina and provides ongoing mentoring and coaching to several current Executive Directors. Over the past thirty years, he has served on over 200 nonprofit boards. 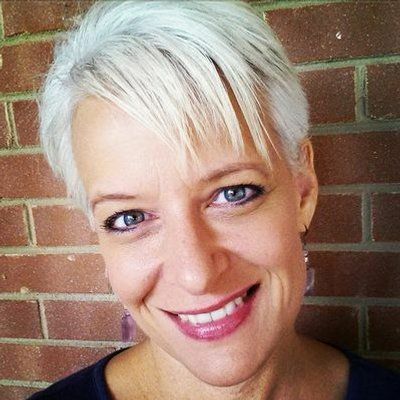 Kivi Leroux Miller is the founder and CEO of Nonprofit Marketing Guide , where she helps nonprofit communications professionals learn their jobs AND love their jobs through a variety of training and coaching programs. She has personally mentored more than 150 nonprofit communications directors and communications teams as a certified executive coach. She is a popular keynote, workshop, and webinar presenter, speaking dozens of times each year. She is also the co-founder of Bold & Bright Media and the award-winning author of three books, as well as a popular blog . She will be presenting two, half-day workshops on November 8th at the Winston-Salem Foundation building ( see map ). Please click on the title for online registration and additional details. September's webinar is on Thursday, 9/13, and will take a look at The 100% Fallacy: Common Presumptions That Hold Your Fundraising Back. Many common assumptions about donors are just plain wrong, hence charities shipwreck financially and fail to grow. Get it right from the start, with this “truth stampede.” You’ll learn acceptable response rates for direct mail appeals and donor newsletters, why monthly donors are preferable to annual donors, and why bequest donors are (usually) preferable to major donors. Register for the morning or afternoon session. Join Metrolina Association for Volunteer Administrators (MAVA) for its annual Mini-Conference, Charting a Course for Success! It will take place on Friday, September 21, 2018 in Charlotte, NC. Expect a day of professional networking, dynamic speakers, and personal development. The conference will offer an exciting program that highlights many facets of volunteer management – from informative workshops to a lively panel discussion with community leaders. Learn more and register here. But hurry, registration closes Friday, September 14th! Don't miss this information-packed workshop that combines lecture, group discussion, and hands-on activities to reinforce course material. You'll learn effective strategies for researching and writing foundation grants. You'll practice with more than a dozen exercises and leave with new ideas and actual writing samples that can be incorporated in your next grant proposal. The workshop will be presented by Laura Rhodes of Third Sector Consulting, a Certified Fund Raising Executive, Certified Grant Writer, and fundraising trainer who has 20 years of experience working with – and for – nonprofits. As a former program officer with an international corporate foundation, Laura brings a unique perspective to the grant seeking process. She knows what works, what doesn't, and why. Grant Writing Boot Camp will be held on Tuesday, October 16th in Winston-Salem. Ms. Rhodes and her team have generously offered a 30% discount to those who register for the workshop via HandsOn email communications. That's a savings of $88.50! Simply type in the code HANDSONNWNC during checkout. Learn more and register here. Get More Grants, offered in partnership with the Alliance of Arizona Nonprofits, continues this month. The next two webinars in this six-part series will help you hone your grants research, writing, and relationships. All webinars are 12:00-1:30 p.m. (EST). Registration is $35 for Center Members and $45 for all others. Want to catch up on the full series? Series registration is discounted: $180 for Center Members and $240 for all others. You'll receive recordings of the first four webinars - Quick-Start Guide to the One-Page Grant Proposal and Making Friends with Funders - and participate live for the upcoming webinars. Learn more and register. Focused for organizations with no more than two staff members dedicated to fundraising, this virtual conference will address the specific fundraising opportunities and challenges facing small nonprofits. It features two keynotes, 12 breakout sessions, facilitated chat sessions, exhibitors, and networking. Hosted by the Minnesota Council of Nonprofits, in partnership with the North Caroline Center for Nonprofits , North Dakota Association of Nonprofit Organizations, and Washington Nonprofits. Center Members save on registration using discount code MEMBERRATE. Learn more. Independent Sector Offering Fall Webinar Series! Click on the links below for more details and registration. Are You Getting Everything You Can Out Of Your Grants Program? Thursday, September 13th, 11:30am - 12:00pm. The grant writing experts at Elevate will teach you how to measure the success of you grant strategy, and help you avoid inadvertently leaving money on the table. What to Know About Nonprofit Policy to Impress Your Boss, Wednesday, September 26th, 2:00 - 2:30pm. Join NeonCRM along with Independent Sector’s Ben Kershaw and Brenna Stroup to learn about the basics of federal policy impacting nonprofits right now, including UBIT, tax law, and the Johnson Amendment. How Much Do You Really Know About Generational Giving?, Tuesday, October 2nd, 2:00 - 3:00pm. The conventional wisdom around giving holds that Boomers give the most and millennials are not worth much effort to cultivate. Turns out the true story is much more complex. Join NeonCRM's Tim Sarrantonio to unpack the realities of generational giving. 33 Principles In 33 Minutes: Guide To Good Governance, Part 3, Tuesday, October 23, 1:00 - 1:33pm Join Diligent’s Dottie Schindlinger for the third in our series of highly interactive sessions about building and maintaining your board and policies. Need New Conference Chairs? A/perture Can Help! A/perture Cinema, a HandsOn Supporting Partner, is offering to donate approximately 20 stackable conference chairs that they no longer need. These seats are available to any local nonprofit who is willing to come and pick them up, first-come, first-served. For more information, please contact Tyler Nail , Manager, at 336-409-6193 for more information. 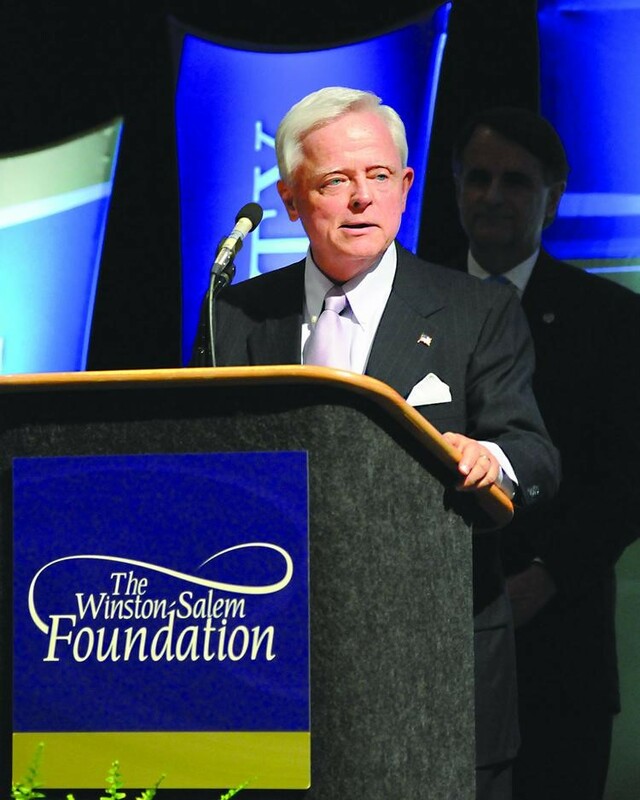 Nominate Someone for the Winston-Salem Chamber's Duke Energy Citizenship and Service Award! Do you know someone making an outstanding difference in Winston-Salem? Community service deserves to be recognized. Submit a nomination for the Duke Energy Citizenship and Service Award. The winner will be recognized at the Winston-Salem Chamber's Annual Meeting presented by Wells Fargo, coming up on October 24th. Join The Forsyth Promise and Winston-Salem/Forsyth County Schools on Thursday, September 27th at 5:30 pm for this latest part of Be The Change, a series of community conversations on education. The evening will feature networking, presentations on SEAL (Social, Emotional, & Academic Learning) and the policies and practices that WS/FCS are implementing to support healthy SEAL development, facilitated small group conversations, and a panel discussion with WS/FCS staff and educators on where our community goes from here. Click here for more details an to reserve your spot! Consider Applying for an Obama Foundation Fellowship! Celina de Sola from Glasswing International , our fellow Points of Light affiliate in El Salvador, earned a spot in the inaugural class of the Obama Foundation’s Fellowship Program, a two-year initiative created to support outstanding civic innovators from around the world. And Pavel Kounchev, co-founder of Time Heroes , our affiliate in Bulgaria, has joined the foundation’s Scholars Program for rising leaders. We are proud of the way our fellow network members inspire change through values-based leadership. Who's next? If you are interested in becoming an Obama Foundation Fellow, applications are now open! Engaged in Advocacy or Public Policy Work? Then Please Complete This Survey! The Fund for Shared Insight, a funder collaborative focused on helping foundations and nonprofits meaningfully connect with the people and communities they seek to benefit is asking for 10 minutes of your time to inform their understanding about how advocacy organizations connect with the people on whose behalf they are advocating. Shared Insight has commissioned the Aspen Institute to conduct a landscape scan of nonprofits and funders engaged in US domestic advocacy or policy work. 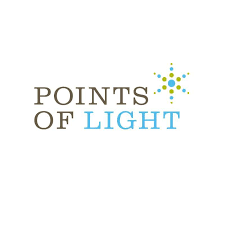 The purpose: to explore nonprofits’ and funders’ views about what it means to “meaningfully connect” with those they intend to benefit through their advocacy or policy work. The findings from this research project will help inform Shared Insight’s funding strategy and will be shared in a publicly available report. The survey has ONLY 6 questions and should take no more than 10 minutes to complete. Please take it today! The Shepherd's Center of Greater Winston-Salem, a HandsOn Supporting Partner, has a full-time position opening for a Vital Living Senior Center Program Assistant beginning October 1st, 2018. Responsibilities include assisting the Vital Living Senior Center Program Director in coordinating program events and activities. Some of the specific duties include assisting with day-to-day operations of the Vital Living Senior Center program to include orienting new participants to activities, assisting with the state-mandated Senior Center Operations and Performance Evaluation (SCOPE) program, maintaining appropriate records for senior center certification and assisting with efforts to collaborate with community-based organizations, congregations and other groups in order to provide programming in off-site locations. Applicants must have an undergraduate degree or equivalent experience in sociology, social work, psychology, gerontology or related fields, as well as strong organizational and time-management skills and excellent oral and written communication skills. Candidates must have the ability to work independently and as part of a team, a desire to work with older adults, be able to relate well with individuals of all ages, demonstrated computer skills and use of Microsoft Office Suite, ability to lift items which may weigh up to 25 pounds, a valid driver's license, and proof of auto insurance. To apply, please email a resume to Susan Meny, Vital Living Program Director. 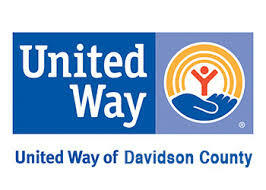 United Way of Forsyth County is seeking a Director of Place-Based Initiatives to lead and support community-based change efforts using a collective impact framework in specific neighborhoods and communities. The individual will also be responsible for outreach to and coordination within faith-based communities in support of outcomes related to the Place Matters Initiative. Developing relationships with and between organizations to achieve results in the outcomes identified through the place-based strategy is essential. Click here to view full job description and to apply. The Shepherd's Center of Kernersville, a HandsOn Supporting Partner, is seeking an Executive Director who is responsible for the overall management and direction of the organization in accordance with its vision and mission. An increase in program demands is expected; therefore, they seek a leader who is energized by the goal of expanding services and partnerships. The Director works under the general oversight of the Board of Directors and will supervise a staff of five employees. By building on past success, the Director will build new collaborations and partnerships with major donors, community leaders, and related organizations. The Executive Director works with the Board Leadership to establish goals and oversee the daily management of the nonprofit, and their primary responsibility is to ensure that those who are aging or with disabilities in the Kernersville, Walkertown, and Eastern Forsyth County communities receive vital services and enrichment programs which enable them to remain in place and stay active and connected as long as possible. The Novant Health Foundation is seeking a Grant Writer Senior to serve as a member of their team and to assist the Grants Office Director with grant functions (i.e. concept development, writing, editing and stewardship, including some post-award reports). The Senior Grant Writer may also develop and manage other special projects as assigned and will support the Foundation's overall fundraising efforts. Click here for full job description and to apply. Smart Start of Forsyth County is currently seeking a Coordinator of Advancement and Marketing to work with the Executive Director and Board Chair to achieve the mission, vision, and strategic priorities of the organization. This position provides essential coordination for advancing the organization through corporate branding and messaging, asset development and reporting; oversees the design, implementation, and evaluation of marketing and asset development strategies; provides technical assistance to all internal and sub-contracted programs and community partners in messaging, asset development, and related professional services; works with the Board Chair, Executive Director, Deputy Executive Director, and team leaders to promote a vibrant culture of philanthropy throughout the organization; and serves as a member of the senior management team. View full job description here. To apply, contact Jackie Lofton, Deputy Executive Director. Smart Start of Davie County is seeking a Program Administrator to oversee administrative duties for the office, serve as a Board liaison, and oversee administrative functions to support all programs for young children, with special focus on literacy programs for children age birth to five. View full job description here. Submit letter of interest and resume to info@daviesmartstart.org. Crosby Scholars, a HandsOn Supporting Partner, is seeking a part-time Administrative Assistant for their Middle School Program. Duties include assisting with mailings, designing reports and generating lists to support programs and events, data entry, ordering supplies for special programs, preparing certificates and reminders, and coordinating Crosby Scholar Academy and special programs. View full position description here. Please submit a resume to Tara Stokes, Middle School Program Coordinator. Review of applications will begin immediately and will continue until the position is filled. Kaleideum, a HandsOn Supporting Partner, is seeking a part-time General Accounting Assistant to serve as an integral member of the Finance team and share responsibility for overall departmental goal achievement. This position is primarily responsible for the daily accounts payable receivable processing and works collaboratively with all Museum departments to ensure the accurate and timely processing of transactions. View full job description here and direct all inquiries and a cover letter and resume to Mary Jo Morgan, Director of Finance. Goodwill Industries of NWNC, a HandsOn Supporting Partner, is seeking a Vice President- Marketing and Communications to direct or personally perform marketing design, public relations, and event planning to provide a public presence in support of Goodwill's strategic goals. Experience overseeing a corporate-level marketing team of at least 3-4 people is required. To view full job description and to apply, click here. City with Dwellings, Program Coordinator City with Dwellings: A Community First Initiative (CwD ) works to end the crisis of homelessness in Winston-Salem and Forsyth County by building supportive, consistent community with individuals struggling with homelessness. At City with Dwellings’ Community First Center, they offer community and one-on-one support to individuals experiencing homelessness as they work to navigate a complex system of supportive resources. Their innovative programming engages individuals as they work towards health and stability. The full-time Program Coordinator will manage and oversee the development and implementation of City with Dwellings’ Community First Center programs for homeless individuals and volunteers. The Program Coordinator cultivates a culture of welcoming hospitality, building community among volunteers and individuals seeking support in his or her efforts to meet housing, health and employment goals. The Program Coordinator is responsible for managing daily operations and related work to ensure organizational and program objectives are met. For more details, please view the full position description. The minimum grant request amount is $250. The deadline for applications is September 20th, 2018 at 5:00 pm. For additional information and to apply online, click here or contact Madelyn McCaully via email or phone (336.725.2382). North Carolina Center for Nonprofits Offers New Way for Larger Nonprofits to Save on Health Insurance! As we all know, nonprofits are continually on the quest for more affordable group health insurance coverage for their employees. As part of their new focus to helping their members in this quest, The Center has partnered with Nonstop Wellness to offer larger nonprofits (with 50+ employees on their health insurance plan) a partially self-insured health insurance program. Note: you must be a member of the Center to take advantage of this program! The program reduces premium costs and eliminates out-of-pocket expenses for employees - meaning nonprofit employees in the Nonstop Wellness program have a $0 co-pay, $0 deductible, and $0 coinsurance plan! This is all achieved with no cost shifting, carrier changes, or financial liability for the nonprofit. Go to the Center's website to learn more! And for those of us who are smaller? Don't fear--the Center is continuing to look at ways to help save us money in the future! Wake Forest University's Pro Humanitate Institute Seeks To Better Understand Your Nonprofits' Ongoing Volunteer and Project Needs! PHI is seeking better ways to support community partner organizations, particularly in regards to volunteer recruitment and project specific needs. In order to do this, they have developed a survey to gather a general sense of your ongoing volunteer needs. 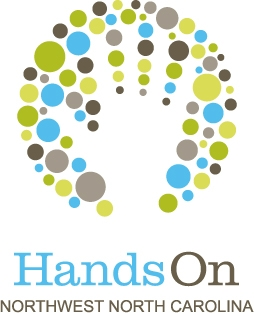 ( Please note: this does not replace listing your volunteer opportunities in HandsOn Connect, which is still PHI's go-to listing for specific volunteer requests.) They want to us e the results to start conversations about ongoing opportunities for collaboration and reciprocal partnerships. Using the information we gather, we can try to connect organizations with Wake Forest-based volunteers, student, groups, classes and faculty.